What does it really mean for a director to be considered an “auteur” – the artist who is most responsible for the final product that is a feature film? Films are such a collaborative effort. The screenwriter provides the source material, the actual producers serve as the gatekeepers between the resources and the artists, the casting department finds the actors, the actors provide the performances, the director of photography (“cinematographer”) shoots the footage, the editor laboriously puts it together in all of the ways we take for granted, and to varying degrees, the director interjects himself or herself into all of these processes. While some directors reflect their own discrete vision on the screen, other directors seem to simply manage talent and competently assemble. For better or for worse, Wes Anderson is one of those directors who truly earns his status as auteur, as Moonrise Kingdom could only come from his imagination. In a way, the film is a rough amalgamation (or perhaps, an evolution) of two of Anderson’s most critically and commercially successful films – the quirky comedy Rushmore (1998) and the preciously animated Fantastic Mr. Fox (2009). 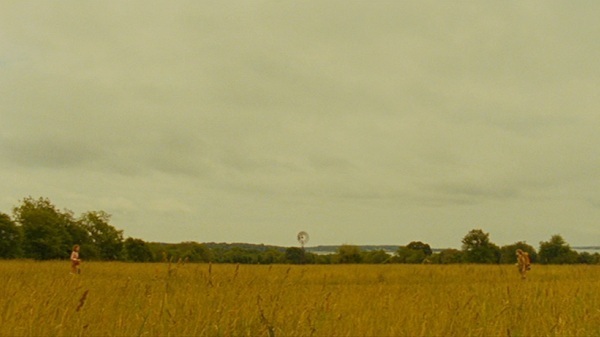 Like the former, Moonrise Kingdom is also a coming-of-age story populated with idiosyncratic musical cues, but like the latter, there is a certain artifice to the visuals – like a cinematic diorama filtered to look like a faded postcard. Set in 1965 on the small New England island of New Penzance, the story centers around 12 year-old misfits (“emotionally disturbed”) – Suzy (Kara Hayward) and Sam (Jared Gilman). Suzy has anger-management issues. Sam is an orphan who is prone to sleepwalking . Both are loners until they find each other and elope to a cartographically attractive cove on the north side of the island, choosing to navigate the treacherous bridge of adolescence without parental supervision. And why wouldn’t they? Suzy’s father (Bill Murray) and mother (Frances McDormand) betray their own moral and emotional authority. 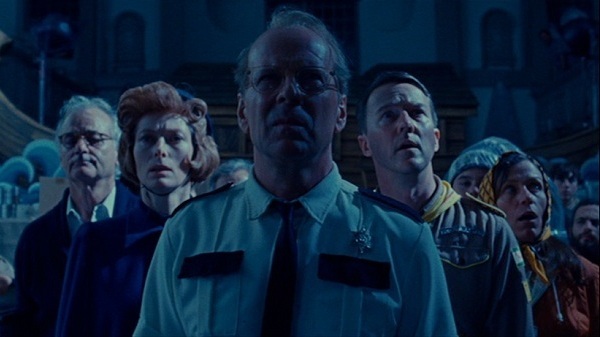 And although Scout Master Ward (Edward Norton), Police Captain Sharp (Bruce Willis), and Social Services (Tilda Swinton) pursue Suzy and Sam with the best of intentions, the sad fact is that their world does not hold much of a home for them (particularly Sam). In the midst of such an impressive cast (which also includes familiar voice, Bob Balaban, and Anderson regular, Jason Schwartzman), the performances tend to steer toward the deadpan, which adds to an almost-animated feel of the film. 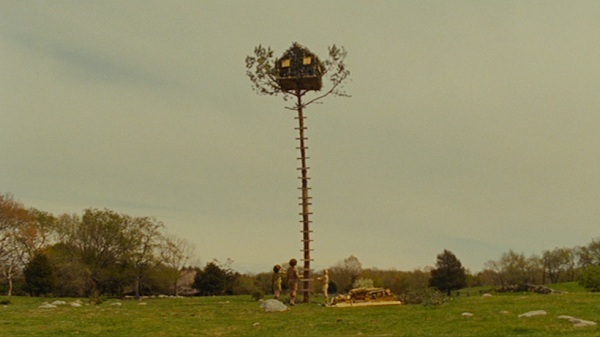 The stylistic elements of Moonrise Kingdom are difficult to miss. The staging of the interior settings take on the symmetry of actual stages. Exaggerated distance – both horizontal and vertical – is also a motif. Visual depth is often closed abruptly – either by the use of Suzi’s binoculars (her pretend superpower) or by Anderson’s quick dramatic zoom. 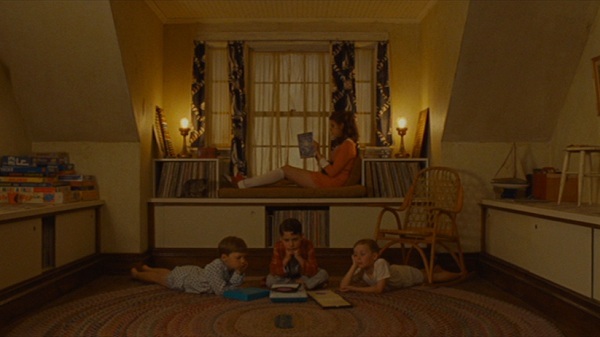 And with the horizontal movement of the camera at key narrative points – often from left to right (like pages in a picture book), Moonrise Kingdom takes on a two-dimensional quality. Within an era dominated by hi-def and 3D, these spatial aspects only add to the film’s sense of distinctiveness and timelessness. Although word “meticulous” is often used to describe Anderson’s work (even in the negative reviews), there is also a certain deliberate imperfection to the film. In the midst of all of the staged symmetry, the characters also tend to be slightly off-center in the frame. Focus tends to move in and out. And yet all of this seems inexplicable in the age of the inexpensive camera and Final Cut Pro. So is this meticulous messiness a nod to the French New Wave, as some critics posit? Perhaps. Even so, the homages do not end there. For example, the goofy trajectory of a scout troop chase (shot at distance overhead) certainly evokes the silent films of Buster Keaton, Charlie Chaplin, and Harold Lloyd, as does the final pursuit that ends on the roof of a church. 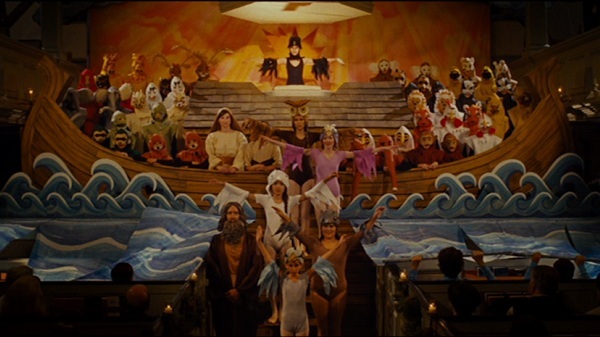 Moonrise Kingdom is certainly nostalgic, but not merely for nostalgia’s sake. The year that the U.S. would send the first Marines to Vietnam, Martin Luther King would lead a historic march on Washington D.C., and Beatlemania would evolve into Rubber Soul serves as the ideal temporal touchstone to explore a loss of innocence. And yet within this very specific historical context, everything else within the film’s setting is fairly fluid. Since the audience is hardly limited to 50-somethings, Anderson (born in Texas in 1969) has little concern for the minutia of historical accuracy (e.g., Social Service’s uniform). Even the island of New Penzance is entirely fictional. The end result is a vaguely familiar, faintly dreamy milieu perfectly concocted to explore the overlap of the carefree hope of childhood and the melancholic compromises of adulthood. For the non-believers, the snarky word of the day to describe Moonrise Kingdom is “twee”. 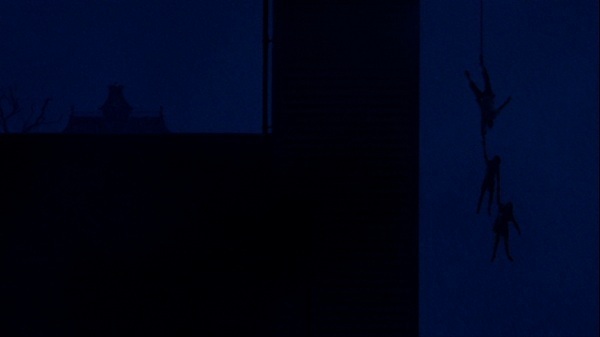 For the rest of us, it is the cinematic equivalent of a ten dollar bar of dark chocolate, providing a warm sweetness tempered with just the right dash of bitter. Excellent choice. I almost forgot to include this movie in my top 10! Luckily I rewatched it before finishing it up. 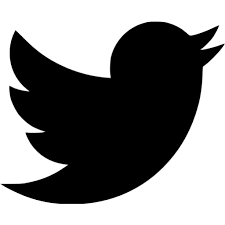 Drop by my blog to see my look back at the past year.